Printed from http://www.bodytalksystem.com//learn/news/article.cfm?id=861 on Apr 22, 2019. 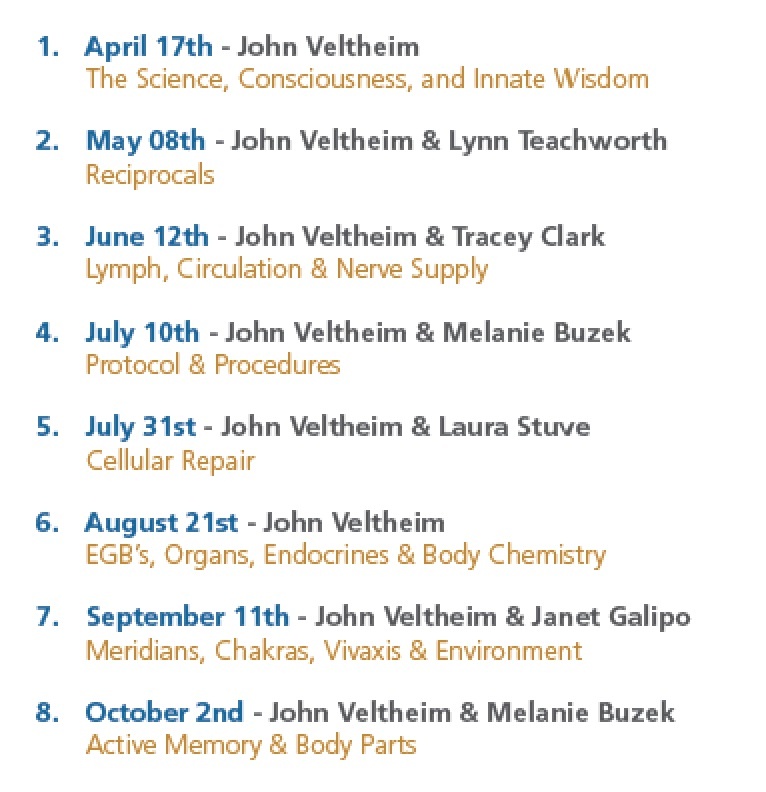 The Founder, a Physical Therapist, a Molecular Biologist, a Dancing Osteopath, a Doctor of Oriental Medicine, and a Structural Integration Specialist all come together to cover the entire Fundamentals Course and more! The Fundamentals Study Group Series is an IBA LiveStream event and is open to anyone who has ever completed BodyTalk Fundamentals (Modules 1 & 2). Discounts given to IBA Members! You will have access to the recordings until January 2015! John has invited a team of Instructors to join him in exploring the topics and techniques of the BodyTalk Fundamentals course! They will be sharing their knowledge, expertise, and experience with you.